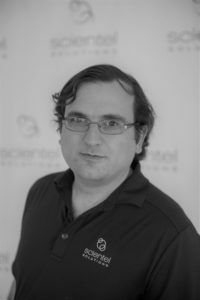 Michael has over 15 years focused on the design, coordination, installation, and troubleshooting of network deployments. He has deployed networks on every continent but Antarctica. Since joining Scientel in 2006, Michael has lead the design of multiple transcontinental networks, County-wide P25, Smart Grid and Video Surveillance networks. As Scientel’s Director of Engineering, Michael leads a talented team of Engineers who are dedicated to delivering high-performance networks to our clients while ensuring that budgets are maintained, schedules are met and quality is paramount throughout the deployment. To see more of our company’s executive leadership, please click here. To reach our 24/7 Support representatives please call (866) 300-2024. We are happy to share our expertise in your next video, article, podcast or blog post. To request an interview with a member of our leadership or engineering team or for permission to distribute our media, please contact Ashley Tenczar, Marketing Coordinator, via email.